Quickly since this won’t apply to everyone – If you have a American Express Business card with OPEN, check to see if you were offered $150 back at AT&T Wireless. 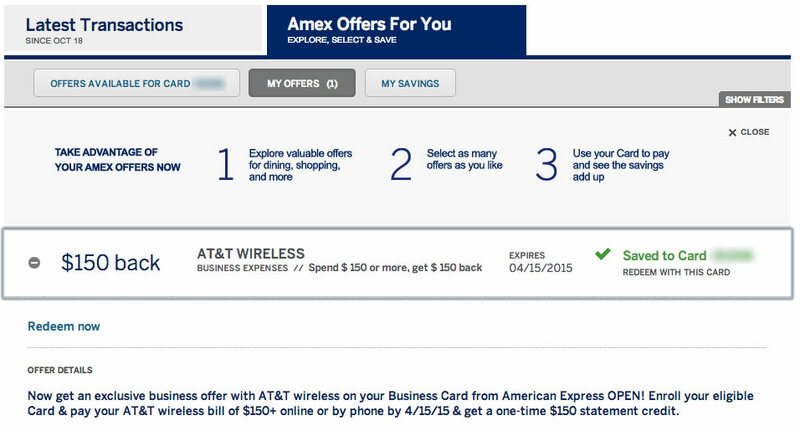 Simply log into your AmEx account online and scroll down until you see the “Amex Offers For You” tab. Not everyone will have this, but for those that do, simply make a $150 payment to your AT&T Wireless bill by phone at 800-331-0500 with that business card, and get that $150 back in statement credit!